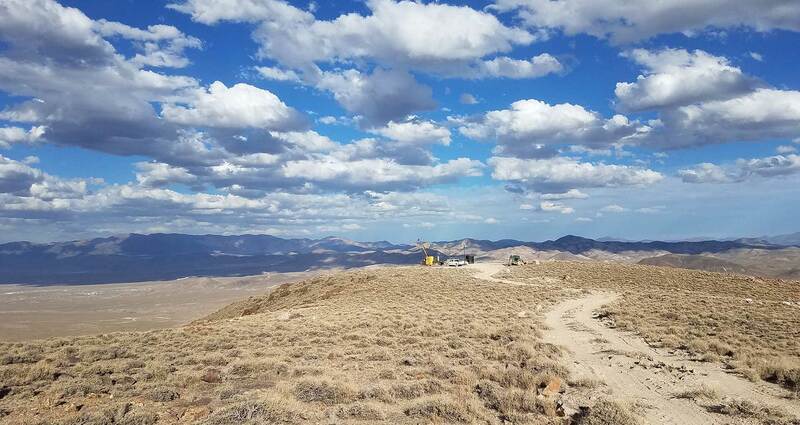 Patriot Gold Corp., a developing gold and silver production and exploration company, today announced the results of a Preliminary Economic Assessment ("PEA") for the Moss Mine Project, located in the historic and active Oatman mining district near Bullhead City, Arizona. Based on the recently announced updated resource estimate and an independent technical report co-authored by CDM Smith, Inc. ("CDM") and Metal Mining Consultants Inc. ("MMC") dated March 13, 2013 (the "Technical Report"), the PEA provides an evaluation of the economics of open pit mining and heap leach processing in Phase I and Phase II production for the Moss Mine Project. *All figures are in USD unless otherwise stated, are based on a gold price of $1,500/oz and predictions that 100% of the Phase I and II mineral resource will be minable. "We are pleased with the outcome of the Preliminary Economic Assessment which not only supports the strong economic potential of the Moss Mine Project, but also provides sound guidance to the next phases of operations," said Bob Coale, CEO of Patriot Gold. "We believe that there continues to be upside in maximizing results from the in-field operations during the Pilot Plant operations phase (Phase I), from possible pit expansions as a result of the mine exploration programs and of course, possible Mine Life Extension or Expansion (Phase III). With the PEA results guiding our way, we remain very optimistic on the Moss Mine Project outlook and look forward to keeping our shareholders informed on our progress throughout the next critical phases of operations." The Three-Phase Mine Development Plan, as outlined in previous news releases, is designed to move the Moss Mine Project forward in a defined and thoughtful manner - from conceptual design and laboratory test work to on-site pilot plant testing (Pilot Plant - Phase I) and then onto operations (Phase II). Phase II is independent from Pilot Plant - Phase I, and will only proceed if Phase I is successful. Phase III is conceptual only, will depend on the success of Phase II, and so is not included in the PEA. Phase III would involve mine life extension and/or expansion of production volumes. A summary of the key parameters and results of the PEA follow. The complete PEA report will be available within approximately 30 days. An updated independent technical resource estimate was prepared by Dr. Stewart D. Redwood, FIMM, and Scott Wilson of MMC and was outlined in a news release dated March 26, 2013. The summarized resource estimate in the table below includes 12.6 million tonnes (AuEq of 1.03 g/t) of measured resources and 9.98 million tonnes (AuEq of 0.73 g/t) of indicated resources (aggregate average: 22,589,000 tonnes at 0.90 AuEq g/t) for total measured and indicated AuEq oz of 653,600 (537,000 Au oz and 5,830,000 Ag oz). It is important to note that mineral resources described herein are not mineral reserves and, as such, may not have demonstrated economic viability. The anticipated operating period for Phase I is 15 months and for Phase II is five years, including development and construction. As previously stated, Phase II will only proceed upon the successful completion of Phase I. Pilot Plant - Phase I and operations - Phase II measured and indicated resources encompass 265,000 of the total 654,000 ounces gold equivalent of global resources estimated by MMC. Upon the completion of Phase II, 389,000 ozAuEq will remain. Extending mining and processing operations onto unpatented land by mining along strike and to depth has the potential to significantly extend the life of the mine. This will be the subject of further investigation concurrent with Phase II operations. This investigation will incorporate permitting, technical, economic, and financial elements into one or more pre-feasibility and/or feasibility studies. It should be noted that the Phase I and Phase II resources described are physically constrained to that which can be reasonably extracted by limiting mining and related facilities to patented - or private - land. The conceptual Phase III mine plan would be pursued without the physical constraints of limiting operations to patented land and will require normal course approvals from various US governmental departments and mining authorities. Based on development of the initial resource solids containing the Phase I and Phase II resources, the mining extraction recovery rate of the in-situ resource is anticipated to be 100 percent. Gold extraction was still in progress when column leach tests were terminated for purposes of completing the PEA and is expected to increase further with a longer leach cycle. Preliminary data from an ongoing column leach test indicate that the low grade mineralization will be amenable to agglomeration/heap leach cyanidation processing after roll crushing to a 95%-1/4" feed size. Use of industrial scale high pressure grinding rolls (HPGR) has the potential to improve liberation and yield higher recoveries. The favorable results from the labatory metallurgical testing provide the basis for proceeding with the proposed field testing Pilot Plant - Phase I. Metallurgical data from the Pilot Plant program will be collected and analyzed for use in the design of operations - Phase II. Both higher grade and lower grade mineralized rock is expected to be tested in the Pilot Plant. Although positive results have been obtained to date, additional metallurgical test work will be required. Consequently, recoveries used in the PEA have been conservatively scaled back to 75% for Au and to 55% for Ag. The following table shows the variances to the Net Present Value (NPV) and Internal Rate of Return (IRR) from the base case of $1500 gold and $30/oz silver. The results are attached as Appendix 1 and indicate the robust nature of the Moss Mine Project.